Show me. How is that possible with the small sample sizes used in vet medicine. It’s not that long ago that advocates of fish oil and omega 3 where dismissed as fools. Are you sure there is no conflict of interest on your part. I will try this product and make up my own mind. Nevertheless I thank you for your opinion. So uncontrolled individual observations (i.e. “I’ll try it and see”) is more reliable than clinical trials with smaller than ideal sample sizes? This makes no sense. And it’s not long ago that advocates bloodletting were regarded as smart, sensible doctors. Science takes a while to come to the truth. Making stuff up almost never gets there at all. As for suggesting that reporting the results of controlled research implies I have a conflict of interest, that is silly and meaningless. A skeptic doesn’t choose to ignore the evidence and go looking for excuses to dismiss it based on imaginary characteristics of the person presenting it. I don’t understand why there is so little evidence in veterinary medicine when scientists experiment on animals all the time. When I had pet rats, the vets had one antibiotic that was licenced for use in rats, and that was basically all they could offer me when my rats were ill. It made me angry to think of all the rats who had suffered and died in labs, and none of this research was even being used to help people’s pet rats. Likewise, what with all the research being done on beagles you would think we would know more about beagles than about humans. Great point! I think there are several problems here. A simple, but stupid one, is that the information from research on lab animals doesn’t always get communicated to clinicians treating similar animals, so there is likely some such information that would be useful if only we knew it existed. However, there are other more complicated issues. For one thing, the diseases companion animals suffer from are often quite different from those experienced by lab animals. Companion animals often live longer (which affects the diseases they suffer from), are very different genetically from purpose-bred lab animals, have very different diets and environments, are not deliberately exposed to known agents that cause disease or increase disease risk, are monitored much less closely, and so on. I have seen lots of studies of experimentally induced diseases in laboratory beagles that told me nothing useful about naturally occurring diseases in, say, pet Golden Retrievers. And even when some techniques or drugs might have the same effects in both populations, there are ethical and other less tangible issues. I’m certainly not going to try out a treatment in a pet rat that has been shown to be beneficial in some lab rats with a similar disease if that treatment also has a high risk of horrible side effects. And finally, there certainly are cases I which animal research has “trickle down” benefits for companion animal medicine. The relatively recent development of a vaccine for treating malignant melanoma in dogs was made possible by a collaboration between veterinary and human medical researchers deliberately designed to both speed up the development of the therapy for use in humans while providing a useful tool for the species in which much of the preliminary research was done, that is dogs. So while some of the basic science and even direct medical research done in animals can be applied to the care of animal companions, there are lots of reasons, both reasonable and ridiculous, why this isn’t always the case. It appears to me that the laser therapy industry has taken over veterinary practice news magazine. You can treat almost everything with new treatments added regularly, now laser acupuncture, and effects in the nervous and endocrine systems to name some. independent experts seem to be skeptical about this claims, what is your opinion ? Thank You. I have been online for over an hour trying to find a local vet who does NOT offer either acupuncture or some kind of “holistic” treatment! I live in a largish Midwestern city! For cripes sake, what is the world coming to? Note: I did find some who don’t openly offer woo, but they tend to be part of large corporately-owned practices and I was looking for a vet-owned practice. Perhaps independently-owned equals “alt vet”? I “believe” big corporate hospitals offer less “woo”. Have not seen any data to back that up. Anthro, I think a lot of vets are just trying to stay competitive in a tough economy, and a ton of clients seem to feel better about a vet who offers woo. Or maybe my perception is skewed because I live in a woo-intensive region of the country (Marin county)–LOL. Diane, I don’t think your perception is skewed at all, it’s happening everywhere. I believe you’re correct, it could be about competition and clients are for some reason “expecting” it. I also blame the media. That is, the stupid alt med for pet sections, promoting a certain practice that practices alt med, and of course, the naturopathy ads littering every page visit. Journalism has taken to page views and ad revenue rather than truthful and factual articles. I received an email this morning noting that you are following me on twitter and read through several articles on your blog to try to get a sense of the basis of your skepticism. Your academic background is certainly to be commended and it is always wonderful to find a Veterinarian who is intelligent and continually seeking. I am an “older” lifelong animal lover and owner. My background was very much established in the halls of science and medicine and I worked as a veterinary technician for many years. My journey has included many great and wise animals and consequently many great and wise Veterinarians. In 2001, I rescued a pair of Labrador Retriever sisters, age 9. I fell deeply in love with them very quickly (it is just the lab thing…how could you not). Several months later, Murphy went into acute renal failure. The Vet that I was working for at the time could not diagnose and allowed me to take her home on IV fluids and hope for the best. The story is long and I won’t go into all of the details but as a researcher, I simply couldn’t live without finding the answers. A Vet 200 miles away put her on perscription grade homeopathics and faxed my Vet the instructions to do acupuncture. Bless his heart, he went in blind with TB needles and got it done. Murphy went from 25% kidney function to within a normal range in 3 days. It was miraculous but she was still terribly ill and critical. We finally ended up in Denver (300 miles away) where I was given the news that they could not find a diagnosis and Murphy would die. I took her back for the “let her go” appointment before leaving Denver and was greated by a young female Vet who did not appear to be more than 18. She gave me the news and was opening the door to leave when she paused and said “would you mind if I run one more test ?” I agreed and within hours Murphy was diagnosed with Addison’s and given life saving, by the book, western medicine treatment that saved her life. I share this story because it is always good to know what is motivating people to lean toward one side or the other in this sad battle between science and alternative medicine. I have had the honor to have Dr. Don Hemerson of Denver work on my animals. He was a “traditional” vet for more than 30 years and now works exclusively with the Bicom2000. His mantra has always been “Never forget your science.” I respect that philosophy. Could Murphy have made it to a diagnosis without the homeopathics and acupuncture to bring her kidney’s back? I will never have the answer to that question. I do know that the war against alternative medicine is one that I cannot persue because there have been times when my Vets have had nothing more to offer and because alternative medicine is there, I have somewhere to turn. I wish you well in your pursuits and am happy that there are great minds such as yours in Vet Medicine. I no longer use social media as I am convinced that fear has no place in the progress and evolution of man and the amazing animals that share this journey with us. Well, as always I understand the desperation that leads us to grasp at straws when a loved-one is ill, and the difficulty in not interpreting anecdotes such as yours as somehow evidence that doing so is worthwhile. There is no response to that other than the evidence that such behaviors, while normal, human, and entirely understandable, are far more likely to lead us astray than to benefit us and our pets. Still, that evidence, while overwhelming, is not nearly as psychologically moving as narratives such as yours, which is why such therapies will always be with us even when, as in the case of homeopathy, they have been shown unequivocally over centuries to be ineffective. Murphy’s prior treatment was likely what sustained her until she was finally diagnosed with addison’s, despite her progressing symptoms. There are various conditions that can cause acute renal failure, including toxicosis from substances, and sometimes, the aggressive treatment for acute renal failure can resolve without a clear diagnosis. An example might be where an owner either cannot afford additional diagnostics and tests or does not want to subject the pet to invasive or costly procedures, so sometimes treating “as if” might resolve the case – this is of course, based on preliminary findings, the vet’s experience, sometimes on a hunch, etc. There are other examples. Luckily you did find a vet who thought to test for addison’s. I’m sorry to say, the homeopathy did nothing other than provide negligible oral fluid support (water, or if in tablet form, no support at all), and the acupuncture was likely only subjective on yours or the practitioner’s part. I have to say that the acute need to set other people straight in the name of science is a particularly irksome quality in the ‘professional scientific’ world. The world and history is replete with ‘scientific studies’, ‘research’ etc like the ones that recommend regular colon exams, and then the ones that suggested maybe it was wrong. Or like the ones that said thalidomide was a perfectly safe drug, or cocaine is not addictive, or those famous ‘scientists’ who said space travel was a ridiculous dream. Life is also a study, there are control groups there as well. If 5000 people report receiving assistance from something, then your mind set would deny any reality to it, other than a condescending nod to the power of imagination, if the experience were not stamped with the approval of you and your peers. I am 64 and have had animals all my life and my experience with vets is far greater than most vets experience with animals. If I only depended upon the vets education and limited knowledge or allopathic pharmaceuticals for my dogs well-being I would have given up on sharing my life with animals years ago. I would think that almost everyone in the US, over the age of 18 has some awareness of how ‘studies’ have been used repeatedly by ‘scientist’ to promote products and programs that end up being devastatingly harmful to others and the environment. It would be interesting to hear what blind studies you have conducted that have made it possible for you to determine (as in your reply to Copper Thomas) that “homeopathy did nothing other than….and the acupuncture was subjective’ (the fact that acupuncture has existed for thousands of years and been used by millions of people beneficially is not a study large enough for you?) Your attitude, at least in the written format, seems to me to show a profound ignorance and disregard for the intelligence of others. You are a perfect example of why so many of us, well-educated, serious, curious, intuitive, expanding persons have trouble with mainstream professionals who can only see, think, feel and repeat what they have memorized in the course of getting a degree. On a more personal note, about 6 years ago I had some serious breathing problems, went to a doctor and received great relief, also a diagnosis of COPD and asthma. At the same time two friends of mine, same age, developed breathing problems as well…I chose to go the alternative routes and explored treatments other than inhalers and drugs, they chose the inhalers. One is just now coming out of the intensive care unit after 18 days, the other is tethered to an oxygen machine and for all practical purposes is fairly useless. I still have some problems but my solutions have not made the problems worse….I breathe well, work, enjoy and play, and take care of animals…but this is just a story and I am quite certain that even before getting to the end you have explained away the differences between me and my friends. There is a great philosophical idea promoted for millenia, “a person cannot experience that which they cannot conceive of”. Veterinarians are just humans with a little more information than the rest of us have…your education, accomplishments and skills are commendable, but they are not power. Your diatribe is simply to say that you’ve had a personal experience which convinces you something is true and you resent anyone suggesting that such experiences can’t be trusted. The idea that a “well-educated, serious, curious, intuitive, expanding person” might be wrong and that a formal methodology for evaluating claims about nature might work better than your intuition and personal experiences is threatening, and so you choose to characterize anyone suggesting that as somehow thinking they are better than you. I think you misunderstand the nature of humility and arrogance. Humility is recognizing that individual experience and judgment is deeply flawed and not trustworthy. Humility is recognizing that the methods of science work better than uncontrolled experience, mine or yours, because human beings are imperfect. Arrogance is believing that how things look to you is how they must be. Arrogance is challenging the motives of anyone who dares to disagree with you rather than answering the substance of that disagreement. Arrogance is imagining that the longer you have lived and the more you have seen, the less right others have to question your conclusions. Even the examples you present serve better to defend the scientific approach rather than yours. Thalidomide was believed to be safe based on the personal experience of physicians and patients using it. It was only rigorous insistence on scientific evidence that identified the danger and prevented the drug from being widely available in the U.S. as it was in Europe. And the drive to reduce screening tests, like colonoscopy and mammography, is coming fom skeptics and proponents of evidence-based medicine. The general public continues to demand such tests on the basis of anecdotes about individuals who may have benefited from them, being unpersuaded by the statistical evidence that they often do more harm than good. Sure, science gets the wrong answer often. And then within a few decades, it usually discovers its mistake. Reliance on anecdote and the judgment and wisdom of the individual, howeve,r allows errors to persist for centuries, even millenia. I am not the problem here. I am simply offering information and ideas which anyone is free to take or leave as they please. The problem is when asking hard questions about how we know what we know is labeled arrogance and when resentment of having your beliefs challenged leads you to dismiss the whole system of science and medicine rather than honestly consider the possibility that your experiences may not mean what you think they mean. tom, please remember that we’re talking about animals and pets. Humans have the ability to rationalize and reason in their medical decisions and choose whatever treatment they wish – they assume responsibility for the choice. Pets depend on the human to make informed decisions for their care, based on sound science and evidence, not magical thinking, religion and quackery. It’s one thing to choose quackery for yourself, based on magical thinking without a shred of evidence to support it. It’s entirely different to suggest the same quackery should be applied to an innocent, voiceless pet who is dependent upon you to make educated and informed decisions. Believing in something doesn’t make it true. Believing it works for you does not make it true that it will work for your pets. Science is necessary to determine safety and efficacy, as well as determine the same between various species. The latter is often ignored by those who choose alternative treatments. I don’t think I lack either in the understanding of humility or the understanding of what arrogance is. I don’t believe that I feel that my length of years entitles me to believe my ideas are right and shouldn’t be challenged. I simply think that what you call the ‘scientific’ method is just as flawed and governed by human irregularities as every other method. I think an individual’s experience does count for something, and while it doesn’t mean that one person’s experience can be extrapolated to the level of a scientific finding, thousands of individual experiences can. I totally disagree with your statement that the calls for tests come from members of the public who are basing their, what you would call irrational belief, upon a few anecdotal stories from associates who benefited. Mainstream medical societies and pahrmaceutical companies spend millions, if not billions each year promoting public behaviors. And I think most of this money is spent in advertising that can best be described as fear based, not science based. I am suggesting that testing and studies etc are not beneficial and an exercise of the higher intellect, I am merely saying that there is not evidence that shows that only evidence-based conclusions are the ones that are ‘truthful’ or worth believing in. Within the few decades that it takes for scientist to discover their mistakes hundreds of thousands of people can be seriously afflicted. Judgment and wisdom of the individual may be no better than that of scientific studies but your comparison of individual wisdom as a source of centuries long error as compared to the only decades-long errors of scientist is totally misplaced. What you call scientists are in that group of people who have social authority like, priests, doctors, psychotherapist, veterinarians and the abuse of their authority over the centuries has done much more to perpetrate darkness than has anecdotally spread information (correct or otherwise) ever has. is simply to say”…you didn’t need the rest of the story. Having an experience doesn’t convince me it is true, beleiving something is true doesn’t make me believe everyone should believe it is true. I never said science is unneccesary. Humility to me, if I had to relate it to our subject, is not believing that I am the one, and I know the way, to save other people because I think they are in danger when believing in a different way. Science, after all, is the organization of experience into knowledge and the knowledge into action. We all do it. sorry, paragraph three should read “I am not suggesting….” I seem to have lost some content….the line beginning ‘is simply to say’ I was talking about how I felt your first sentence to me was a perfect example of our differences. I don’t think what I wrote was a ‘diatribe’ nor in my mind is it accurate for you to sum my comments up as “simply saying ….etc etc..
BTW, in response to v.t. , how can I have an intelligent conversation with someone who has read 4-5 paragraphs of my opinions and has made themselves believe that I ‘choose quackery, religion, and magical thinking, and make my decisions without a shred of evidence.” Yes, v.t, you are right. I embrace quackery, I love quackery, I think the world should be dominated by quackery, I yearn to be the quackery king. All innocent animals should be condemned to suffering and dying by people like me who live in the delusional worlds of religion, magical thinking and ignorance. I assume you feel free to make a statement like this because you are able to view the world with perfect rationality and flawless intuition. So, I should have restrained myself when I first came across another skeptics page who is going to use science to save me. it’s your blog, but I would appreciate it if you would delete my comments from your page. You have chosen to participate in the discussion here, and others have responded to you, and I generally prefer to leave the comments threads intact unless you have a specific reason you feel it is important your comments be deleted. that’s fine, thanks for responding. tom, I was generalizing, (“You” as in, whomever). I was just trying to make a point in regarding medical decisions made by humans, and how different such a choice is, and should be, for our pets. The crux of the issue, IMO, is that we should choose sound science over personal bias or emotional feelings when it comes to medical decisions for our pets. Too often, we see people come to the blog with big claims (anecdotes) of alternative medicine working for those owners’ pets, but we never see the evidence. Without evidence, it is and can be damaging to those pets – and the promotion of, can be damaging to others’ pets whose owners don’t know better (do not know how to evaluate the evidence). Cancer patients have a MUCH higher rate of survival today than they did 50 years ago. Indeed 50 years ago leukemia was a death sentence. Today you are pretty unlucky if you have leukemia and die from it. This year Stanford Medical is going into human trials with a therapy that may literally be the cure for all cancers. Their treatment method is the most promising I’ve ever read about. NONE of this progress came from homeopathic treatment. It ALL came from hard science, trial and error, learning from precise observation of results … in other words science. Year ago Michael Landon developed colon cancer. He took coffee enemas and died. Seven years ago a friend of ours was diagnosed with a cancer so advanced that her prognosis was three months. Her chemo treatment destroyed the cancer and she’s as healthy as I am right now (or would be if she’d lose some weight LOL). We’re adults and make our own decisions, and you are free to make yours. For me, if I am diagnosed with cancer at some time I’m making a beeline for my friend’s oncologist. You are a skeptic because it could put you out of business. Continually denying the truth that you only care about money. Try reading the pharmacology instead spreading your skeptism. It works I saw it with my own eyes and continue seeing it work. Stop spreading your uneducated skeptism which further makes people not have access to the real truth. Please I pray you get some education. What silly nonsense. You have no evidence to offer other than anecdote and personal faith, so you challenge the motives of those who disagree with your belief. And you have the arrogance to believe that the only way someone could disagree with you is because they are greedy and don’t care about the truth. If you have any actual evidence of substance, feel free to share it and you will see how truly open -minded people respond to reasonable arguments and data. If you just want to pitch a fit and make personal accusations, you will accomplish nothing but embarrassing yourself. Have I overlooked the info? Where is your name, your credentials and your practice located at? I could not find it anywhere on your website. An argument’s origins or the origins of the person making it have no effect whatsoever on the argument’s validity. A genetic fallacy is committed when an argument is either devalued or defended solely because of its history. There are many reports online of ID microchips causing tumors. Am I right in suspecting this is totally unsubstantiated? There is no consistent evidence of cancer associated with microchips. Some individual cases of fibrosarcomas at the site of a microchip have been reported, but these have also been reported far more often unconnected with microchips, sometimes associated with vaccination or other injection (especially in cats) and most frequently with no apparent trigger. Given the millions of animals with such chips and the reports of only a handful of cases ever with cancer at the chip site, the chances that they are a significant risk factor for cancer is miniscule. Have you looked at the german study that cured 1 cat and three dogs from various stage 3 and state 4 cancers. They used artemesia annua and iron loading and tagged the iron with artemesia so the cancer cells let it in the cells and than it produced free radicals killing the cancer cell. The cancers never returned in any of the animals and they were all cured. You know people wouldn’t have to be looking for these things is science and research could come up with a treatment for these things. I understand that vets are waiting for other vets to try it because they are afraid of the iron uploading part of the protocol. But the study proved it worked so I am wondering why the hesitation here when it can save lives. The study is called iron loading in veterinary sarcoma. This was not a clinical study, it was a case series. The difference is that there were no controls for bias, error, confounding, or other factors that influence outcome. Basically, it is a collection of stories of things that happened to individual patients. This sort of publication is very useful in suggesting hypotheses to be tested, but it is not intended to prove cause and effect. Understanding how science works and the details of which kinds of evidence serve what function is critical to discovering the truth and those therapies that actually work. Could someone please tell me who “the skepticvet is? I need a name of the person please to establish this persons credibility. 1. The information is available on the site and with a simple Internet search. 2. And why does it matter? If I have a Nobel prize, will that make you agree with me? If I’m a manual laborer does that mean I’m automatically wrong and you can ignore the arguments and evidence I present? Claims must stand or fall based on the evidence, and personal information usually serves only to support one’s existing prejudices, for or against the person, not to help evaluate the strength of the evidence. where is all this evidence you are talking about ? I’m only seeing your version of the truth and a lot of you knocking everyone else’s version of the truth. The primary concern any time something foreign is introduced into the body — whether it’s a microchip or, say, a metal plate to repair a fractured bone, or a transplanted organ – is the potential for the body to reject the foreign material. My recommendation, if you’re considering chipping your pet, is to assess how much risk there is that she will ever get out of your sight. If you have an indoor-only cat, for example, or a well-trained (responsive) dog that is always on a leash outdoors, I believe the potential risks of microchipping outweigh the benefits. However, I also learned there is anecdotal evidence that chips can migrate from the injection site and they may cause cancer if a sarcoma forms around the chip. Owners are advised to regularly check the area of the implant for tenderness or swelling. Hard to do if the chip has migrated. Chips are not visible to the naked eye. The pet must be taken somewhere that has a scanner and that scanner must be the universal type that can read all kinds of chips. Please, not Mercola. I was very worried when I need my first root canal a few years ago, Dr Mercola suggested that root canals cause cancer. My dentist reassured me that this was not true. Just agree to disagree and move on. Genetics play the greater role imo. The SkeptVet does a lot to help pet owners and he is not selling anything here, no supplements, books, etc. I have benefited from this site. Another example of the unreliability of anecdotal evidence. Literally millions of microchipped animals around the world, and a handful of reports of tumors in the general area where a chip has been placed do not mean that chips are a risk factor for tumor formation. To demonstrate this, we would need to actually look for a significant association, and so far none has been found. With all the good chips do in reuniting lost pets with their families, weshould be very careful about encouraging people to be fearful of them without good reason. Then you’re not paying attention to what I am actually saying. You may dislike criticism, particularly of ideas you are sympathetic to, but that doesn’t make it wrong to criticize bad ideas or to refuse to accept claims without evidence. If you read my posts, you will see where I cite evidence to support specific claims. There is no consistent evidence showing a causal relationship between microchips and tumors. Sure, some tumors occur at sites where chips have been implanted. And the vast majority of tumors occur at sites where there is no microchip. You can’t legitimately make a causal inference based on a handful of reports without real evidence. And your concept of “rejecting foreign material” is inaccurate. The immune system reacts to some stimuli, particularly foreign proteins, and ignores others, such as inert materials. Hip and knee replacements work because the materials used do not stimulate an immune response, whereas organ transplants require immunosuppressive medications because the foreign tissues do. You are making vague generalizations based on a lack of understanding of the relevant immunology. Why have you deleted the links I put up with the comments. Those comments were not mine they were inserts from the links. When you delete the links is telling me you don’t want people to learn other options and views you just want them to learn yours. I’m done here if only your views and options count. When all those animals were put down after the Katrina hurricane thousands of animals we put down and later learned they couldn’t read the microchips because they never had a universal scanner or the chips malfunction or the company that made the chip went under so they couldn’t find the owners. Also you don’t mention how painful these microchips are when inserted as a puppy. In the US a pup is not required identification at 8 weeks old to be register with the AKC but in Canada they are in order to be register with the CKC. It’s terribly painful at 8 weeks old to be microchipped. Please change that to were put down not we put down. You know what, I don’t play vaccine roulette and I don’t stick things in me or my animals that if there is remote chance something could happen to them or me. So you can say there is scientific evidence for your comments but the truth be told the potential for harm still comes with everything so why do it if there are other alternatives. You can say not every animal would get cancer with a microchip or not every animal will get a auto immune disease from a vaccine but if that’s your animal that is damaged you’re going to be devastated financially and emotionally. George Burms lived to over a hundred years old drinking and smoking cigars. Does that mean if we all go out and do the same we will live to over hundred ? I think not. Natural immunization and not putting a foreign object into my animals body or chemicals on my animals body means I’m not taking a small or huge risk, of my animal being injured, than that’s what I’m going to do. If you’re still practicing vet meds then you personally are required by law to get a rabies vaccine every three years. Do you stick that poison in your body? In some places in the US it is becoming law and will soon become law all over the world that humans get microchipped. Have you got yours yet? If you haven’t then when you do get it try it in the back of your neck and let me know what it feels like. You are right skeptvet. The nutriscan test told me my dog could eat chicken but my dog nearly died after eating chicken. Raw diets are just dreadful. The only thing that keeps my dog alive these days is antibiotics. There are some very cruel charlatans out there calling themselves canine nutritionists. Buyer beware. First, I would like to thank you for a wonderful and interesting blog. Do you have any general advice for those of us who will be facing this on a day to day basis? Does actually explaining the process of science ever actually work? Are people swayed when you explain things like vaccine safety trials and double blind placebo controlled studies? Or is there a different path that works better? I suppose much of my fear stems from, unfortunately, places like this blog, where you can explain something logically and correctly and the response you get is nonsensical, not evidence based, and one of anger. Any advice you can give someone in my position, gearing up to face the public on these matters, would be immensely appreciated. I’m glad you’ve found the blog. Part of the purpose in doing this is to remind those of us committed to science and skepticism that we aren’t alone! I guess I would say a couple of things. First, it is never wrong to be informed. Learning all you can about human cognition and where it goes astray, about science and both how it can help and where its limitations are, about the specific interventions your clients will ask about as well as the general views they are likely to hold about science and medicine will help you to understand your biases and those of your colleagues and clients. Sometimes, this will give you the tools to educate and change things, but even when that isn’t possible I think understanding can be helpful and comforting. Being familiar with the views you may want to challenge and their origins, arguments, and evidence is necessary to even have a chance of changing minds. I would also say that I don’t argue directly with true believers, whether colleagues, clients, or the general public. It only leads to hostility, and it’s not productive. However, I also don’t just give up and stay silent. The real audience for critical thinking and skepticism is the vast majority who don’t have great interest or firm opinions but may encounter specific claims and want more information about them. If the only information available comes from true believers, the mildly curious or “neutral” majority will only find misinformation when they go looking. And if no one points out “That idea is false and ridiculous” then even those who recognize this are likely to doubt themselves or be afraid to say so if they think no one else shares their views. So advocacy and engagement are useful even if they don’t generate dramatic conversions of belief very often. I’ll take the liberty of listing some articles and books below you might find interesting or useful. McKenzie, BA. Overdiagnosis. J Amer Vet Med Assoc. Oct, 2016 (in press). McKenzie, BA. 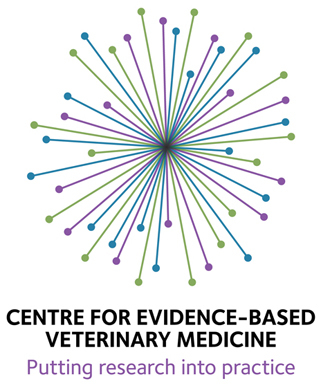 Evidence-based veterinary medicine: What is it and why does it matter? 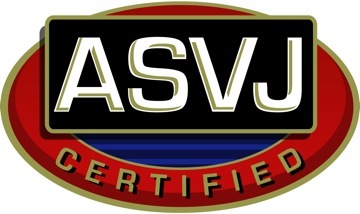 Equine Vet Edu. 2014;26(9):451-452. I didn’t find anything on this site about Platelet-Rich Plasma therapy. This would be for a musculoskeletal issue in my dog’s wrist. Have you investigated this therapy? Thanks.